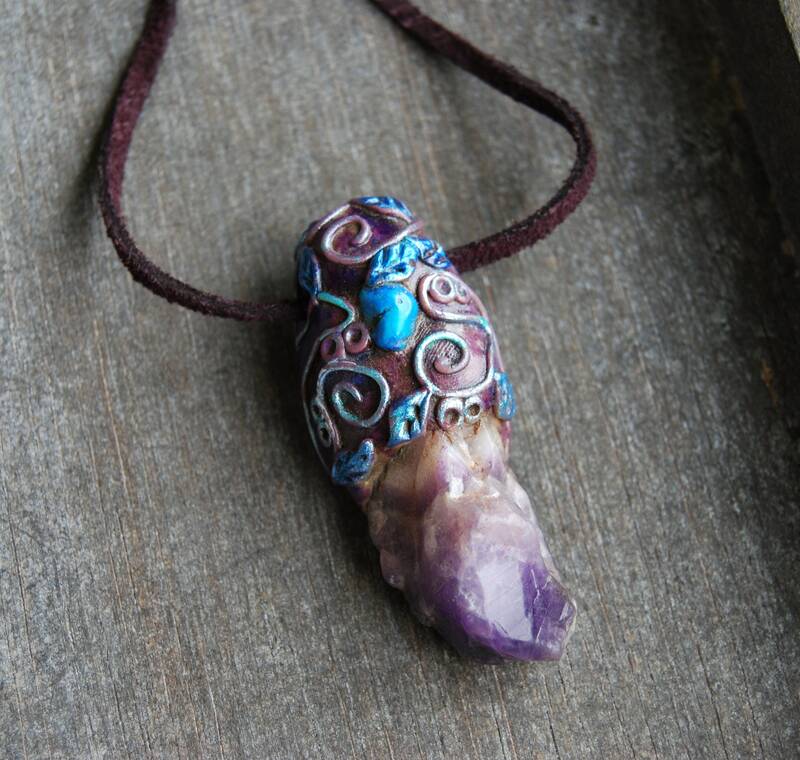 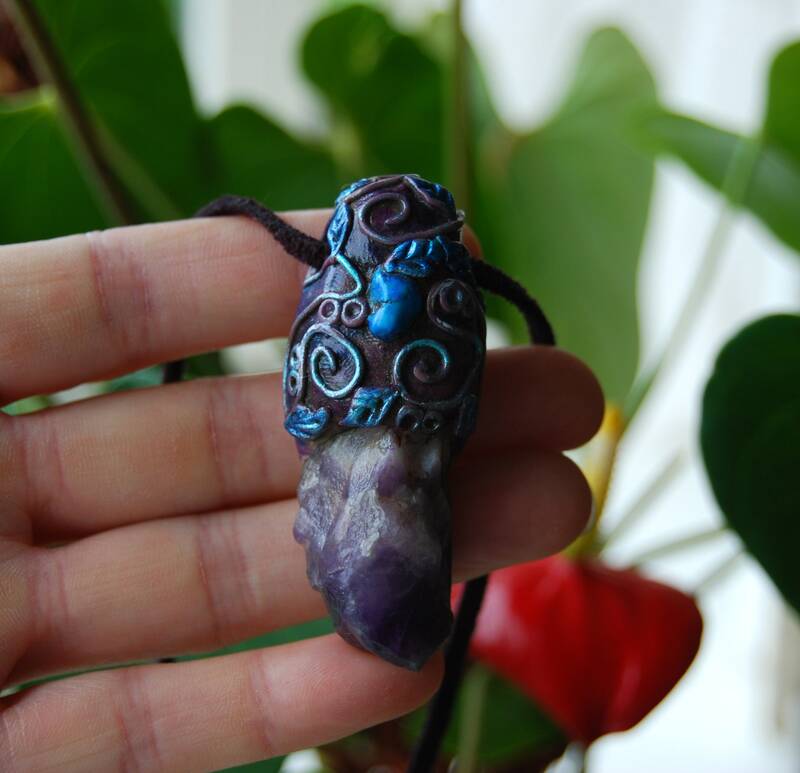 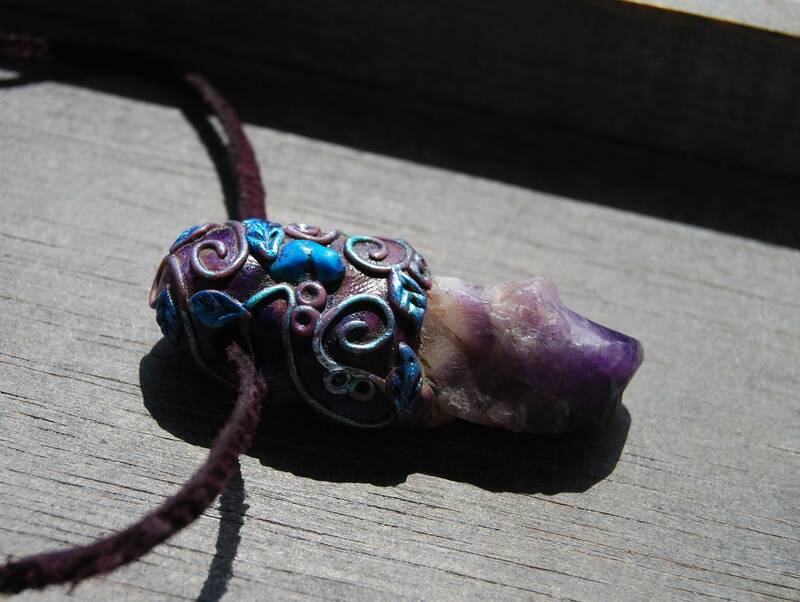 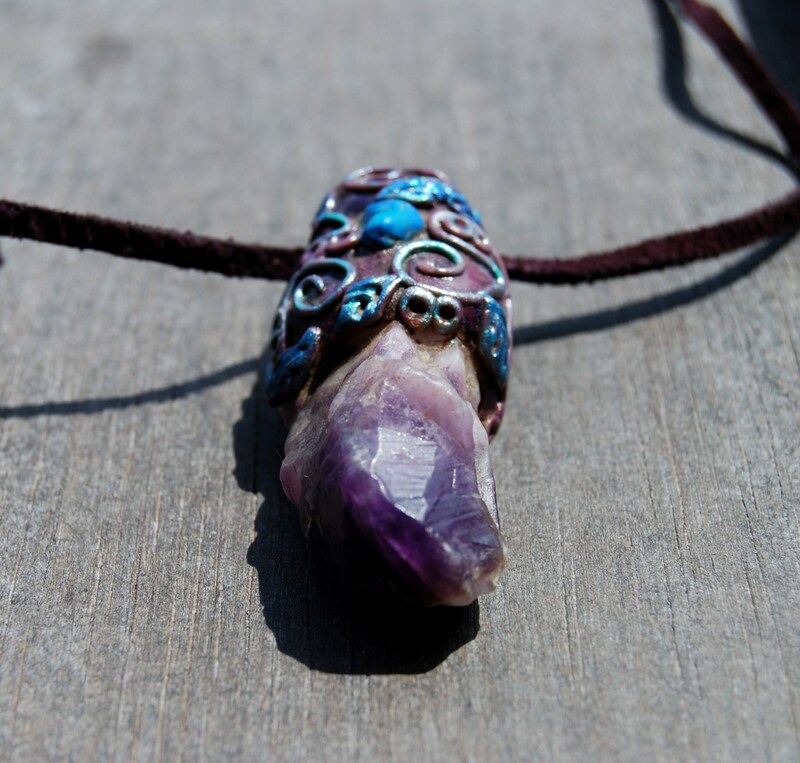 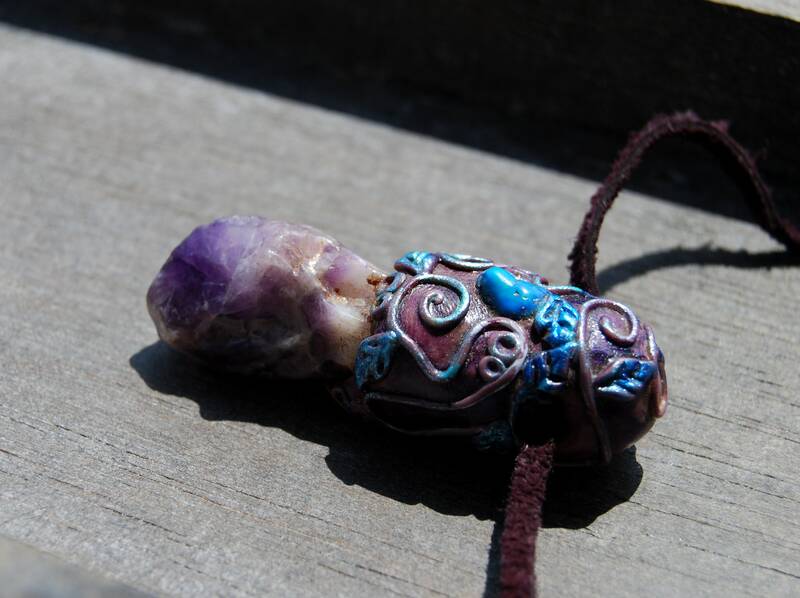 This is lovely rough chevron Amethyst with a smaller real Tibetan Turquoise stone embedded in a handsculpted durable clay setting that i made myself. 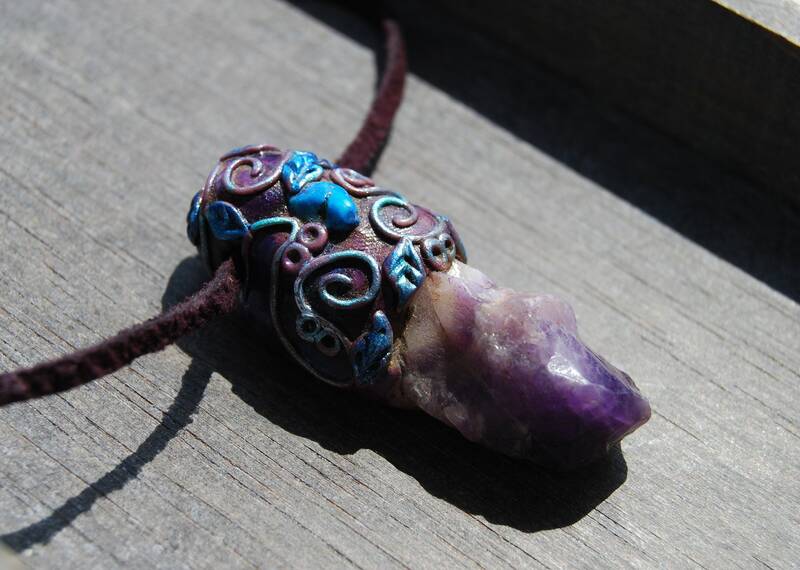 Very nice ! 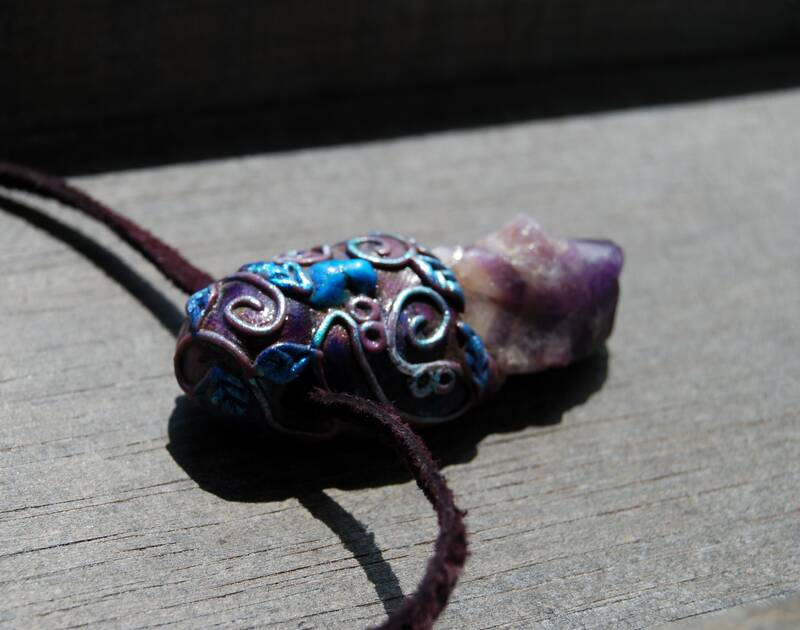 It comes on an suede cord that is adjustable. 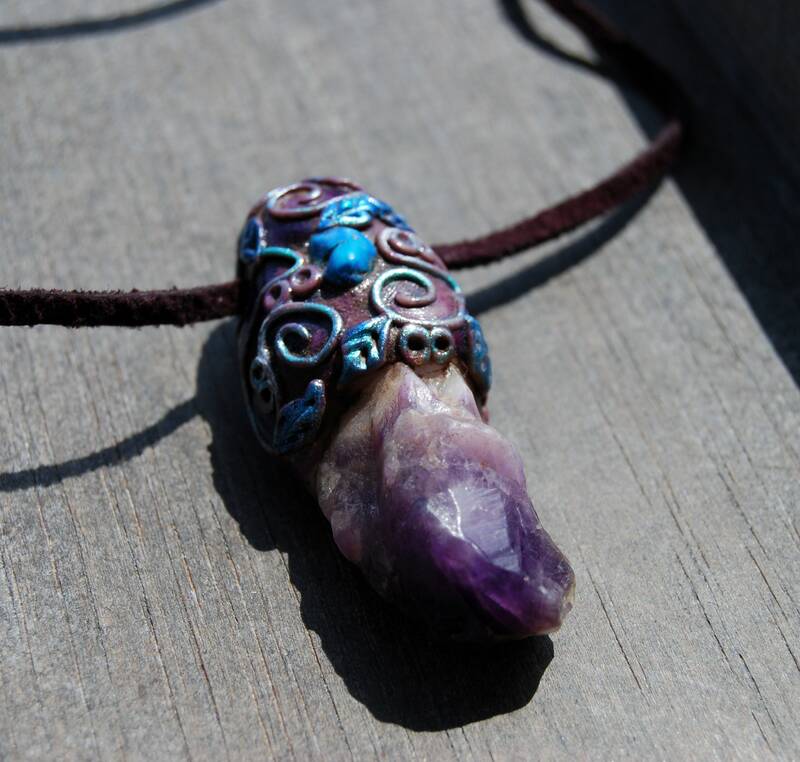 Pendant measures 6 cm / 2.4 inches from top to bottom.